That comes out to 30 minutes, 5 days a week. My goal is to do some sort of cardio every single day. Even my strength training exercises will be more cardio based super sets. Going from one exercise to the next with little rest between. Cardio burns calories and calories burn fat. Good cardio exercises to do: jogging, running, bike, dancing exercises, swimming. You want to maintain a pace which you can still talk during. With my cardio, 2 days a week I will be doing Higher Intensity Interval Training. HIIT means that you alternate short bursts of high intensity exercises with moderate exercise. I loved doing interval training when I was running. Run a moderate pace for 2 minutes, then a faster pace for as long as I could. Core de Force does it perfectly. Core de Force is broken down into 3 minute blocks. They do 2 minutes of exercise then 1 minute of HIIT. Total body strength training or breaking it down between upper body one day and lower body the next time you have strength training. Strength training is necessary to build lean muscle. And muscle burns fat when you are resting. To build muscle you lift heavy weights with less repetitions. To lean out you use lighter weights and more repetitions. Ab exercises help to support our back and our whole body. I haven't done much ab workouts for awhile. why do I need to when I have so much fat covering them. They will never be seen. Was always my excuse. But the more I am learning about how important they are the more I realize I need to be doing them. Do you have low back pain, do more core work! 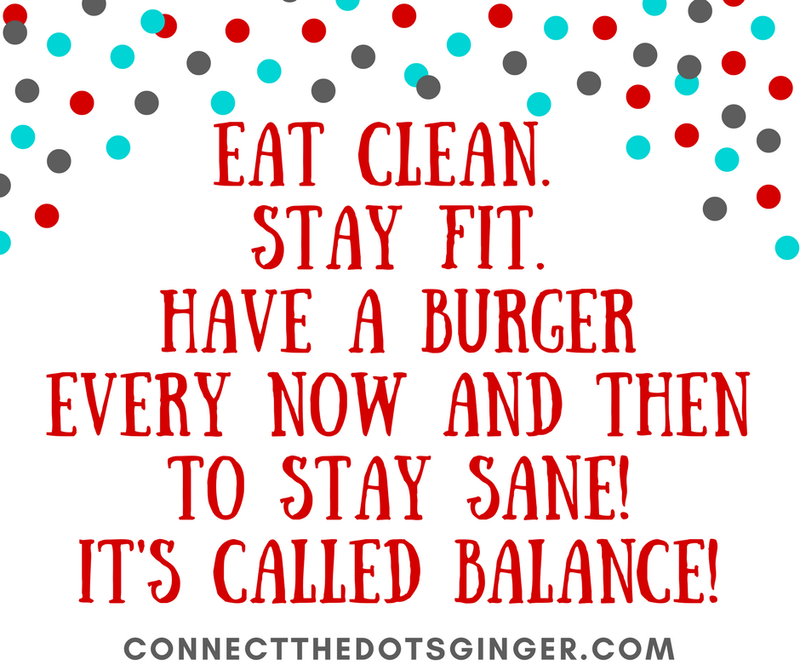 Do you struggle with balancing? Do more core work. Carrying around a baby and even my older kids, I need my core to help me lift them and hold them so I don't throw out my back or hips. 10 minutes of ab work is a good goal to start with and you don't have to do traditional ab workouts either. There are plenty of programs out there that do core strengthening without even getting on the floor. PiYo Core is one of those! Avoid ab workouts while pregnant and if you have diastasis recti. To truly tap into those results the diet MUST change! Do not expect to lean out when eating doughnuts every day, or candy, or cake. In this case you can't have abs and eat cake too. Live the rule of 80/20. 80 percent of the week eat as clean and healthy as possible. Avoiding simple carbs (white flower, pastries, pasta) and sticking with complex carbs (oatmeal, quinoa, brown rice). Try eating your carbs earlier in the day, breakfast and lunch, so that your body uses the energy they create during the day. Eating at least 3 servings of veggies a day. My personal plan with the Nutrition Fix calls for 6 servings of veggies a day! Choose lean protein like chicken, egg whites over fatty protein like certain types of steaks. Then one meal a week, let yourself indulge and enjoy the fun meals. Having this balance allows you to lose weight because one bad meal won't derail your results. More than one meal will though. If you truly want results, STICK WITH YOUR NUTRITION! Are you ready to make that complete healthy lifestyle change but don't know where to start? I have created a 30 day workbook with daily action steps to help you make a complete healthy lifestyle change. 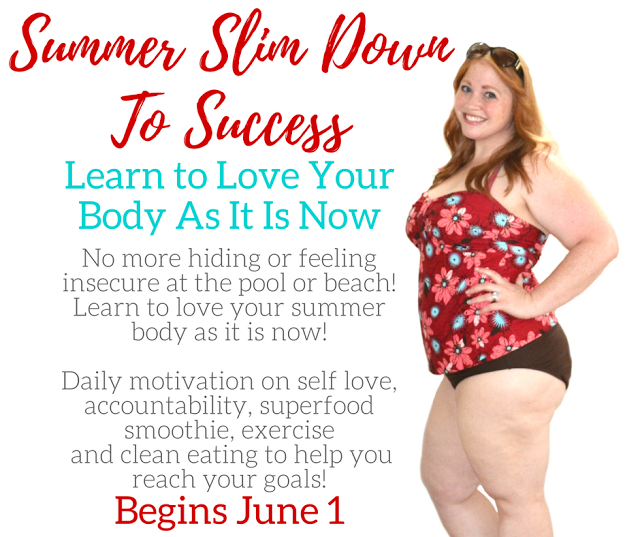 30 Days To A Healthy Lifestyle Change is available in my EXCLUSIVE private Facebook group as part of my Summer Slim Down To Success 60 Day Program as a TOOL to go along with your Beachbody On Demand All Access Pass workout programs and journey. If you are interested in joining us and are ready to order CLICK HERE and I will send you an email after you order with your materials and get you added to the group!